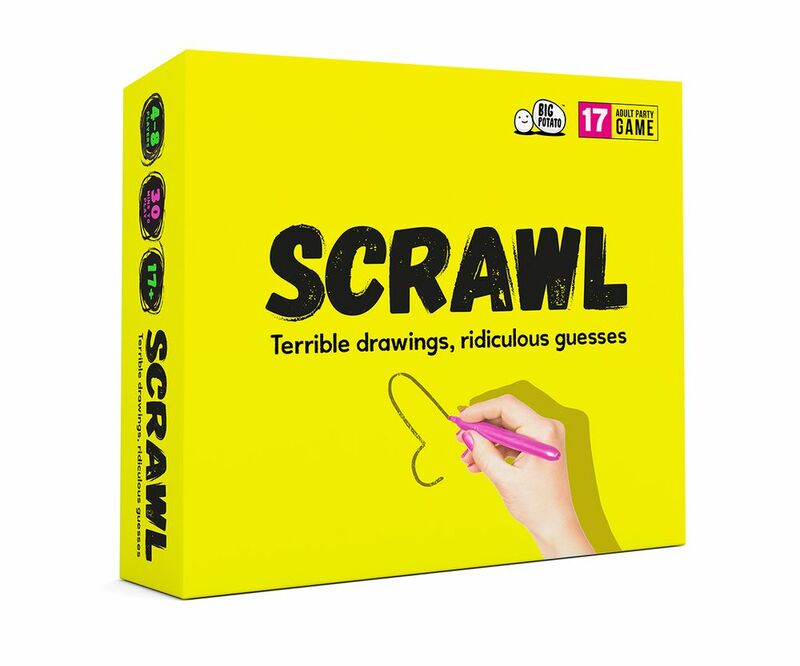 Scrawl, the disastrous doodling and guessing adult game. A hilarious game of guessing innocent and no so innocent pictures, but be careful, in Scrawl things may get out of hand quickly! Scrawl brings out your inner artist. You start by drawing a loaded phrase (e.g. Monkey Knife Fight) and passing it on. By the time your delightful drawing is interpreted by your friends’ weird minds, things will have gone horribly wrong. Then it’s most grins wins.